[DYNAMIC TURBO C] น้ำมันเครื่องคุณภาพสูง เหมาะสำหรับเครื่องยนต์ดีเซล คอมมอนเรล เช่น รถปิคอัพ, รถยนต์อเนกประสงค์ MPV และ SUV High quality diesel engine oil. Suitable for light duty diesel vehicles with common rail injection system. • Designed for general diesel engines and commonrail system of Pick up truck and SUVs with both of such as 2WD and 4WD system. 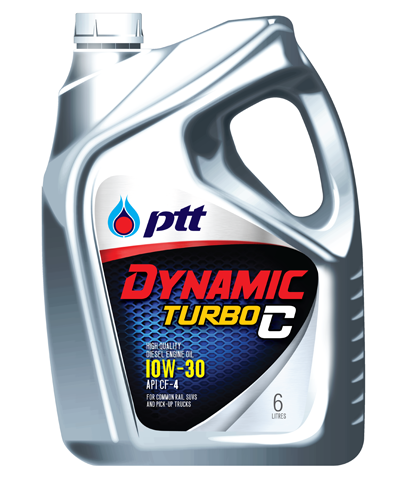 • Recommended for diesel pick up trucks and also for commercial vehicles where require SAE 10W-30 and API CF-4 or lower.